Their 1989 debut defined Manchester‘s music scene for a generation becoming a bona fide modern classic, and this weekend The Stone Roses are back where it all began, playing three sold out gigs in Manchester’s Heaton Park. 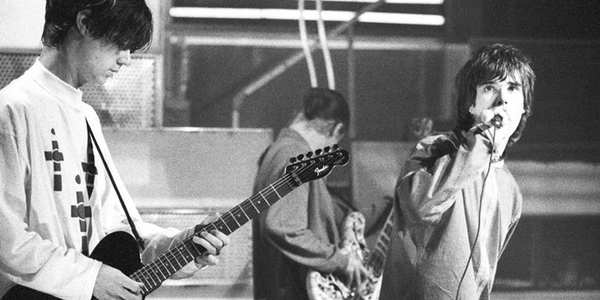 The Roses’ shows at Alexandra Palace and Spike Island have become the stuff of legend, as has the turbulent relationship between all four band members, most famously when guitarist John Squire announced his departure from the band in the 1996 leading to their eventual split after Reading Festival just a few months later. Their recent reunion was a long time coming, but differences between Ian, John, Reni and Mani have been put aside and thousands of fans have dusted off their floppy hats and are set to relive their heady baggy youth. But if you aren‘t one of 220,000 people in Heaton Park this weekend, why not join in our celebration of all things Roses on Now Playing @6Music? * Or even those supporting them at Heaton Park this weekend such as Beady Eye, Kid British, Plan B, The Vaccines or The Wallers? As always the power is in your hands. Tell us what you want to hear – leave a comment on this blog or Facebook, Tweet using #Roses6Music, e-mail us or drop a track into our collaborative Spotify playlist. 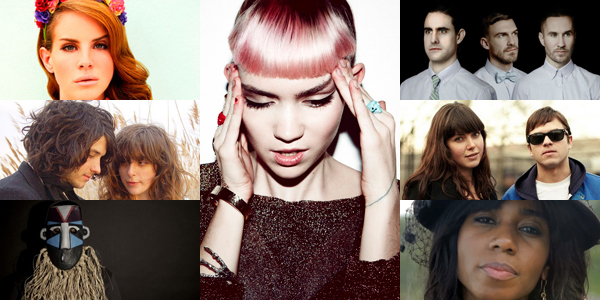 Canadian songstress Grimes has topped the 2012 Music Blog Zeitgeist after being the most talked about artist of the year so far according to Hype Machine and their analysis of 863 key music blogs from across the world. They looked at what they’ve been writing about and calculated the number of blog posts written about each and every artist, which put Grimes on top of the pile. Tom said: "One of the sheer delights of Now Playing has been our close relationship with a wealth of wonderful new music blogs. 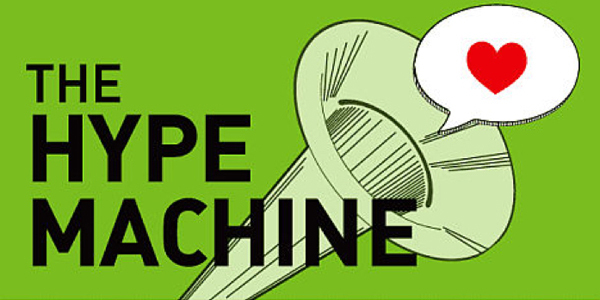 The highpoint to date is our collaboration this weekend with the mighty Hype Machine - which has got me almost childishly excited. The graft, enthusiasm and musical expertise of the world's music bloggers has led to a new world of possibilities for gifted independent artists. "It's largely thanks to bloggers that artists no longer need business cash, industry contacts, or even an outrageous amount of luck to get their music heard. These days, all they need to be is good." And on the No. 1 artist he said: "The rise and rise of Grimes has been breathtaking. She's one of those artists whose work is perfectly attuned to the moment - effortlessly capturing the imagination of a global audience. "But much more to the point she's also very, very good indeed." See the Top 25 artists in the 2012 Music Blog Zeitgeist and let us know what you think of it, either on this blog or Tweet using #Blog6Music and add to our Spotify playlist of your favourite tracks from 2012 – any surprise inclusions? Anyone you thought would be there? 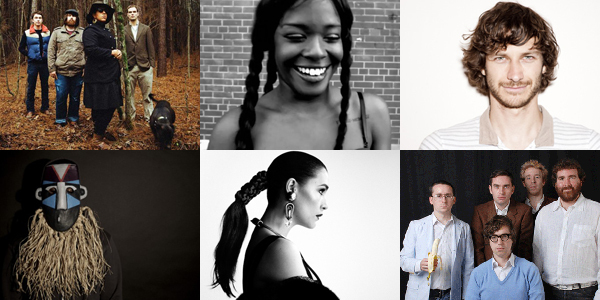 #Blog6Music - who are the best artists of 2012 so far? We’re just about to run down the 25 most talked about artists online this year, as compiled by Hype Machine and their database of 863 blogs. However, there are certain other blogs who are very good friends with us at Now Playing and so we asked them who their favourite artists of 2012. We’d love to know who your favourite acts of the year have been – so let us know on this blog or Tweet using #Blog6Music. This Sunday BBC 6 Music and The Hype Machine are joining forces to unveil the top 25 artists of the year so far in the 2012 Music Blog Zeitgeist. As well as tracking who and what is currently the most talked about musicians online on a daily basis, Hype Machine also reveal their Music Blog Zeitgeist at the end of the year where they look at everything posted by their index of 863 key music blogs to ascertain the top artists, songs and albums of the past 12 months – but we’ve got them to do a special mid-year version just for us - and Tom will reveal the results on Sunday from 6pm. We’ve also called on some of our favourite blogs – some listed by Hype Machine and some not – to ask for their thoughts on the artists who have made the biggest impact in 2012. Keep an eye on our Facebook page and Twitter – follow #Blog6Music - as we’ll start sending out their blog posts to get you thinking ahead of the show and give some other perspectives. As always, we want you to get involved – so leave a comment on this blog about the artist who you think has made the biggest impact in 2012 (they don’t have to be new), go to our Facebook page, Tweet using #Blog6Music and drag the tracks of the year so far in your eyes to our Spotify playlist. After looking at the UK Punk scene last week and some of the amazing music it helped develop, this week we are turning our attentions to the US scene, and inparticular New York as 6 Music and BBC 4 continue celebrating Punk Britannia. All day on Sunday 6 Music will be celebrating the anarchistic music which emerged from the Big Apple with Patti Smith’s 6 Music Playlist, Huey looking at the Legacy of his hometown, a Month of Sundays with Mark Ronsen and then A Punk Tale of Two Cities after us will debate whether New York or London can claim the cultural movement as their own. As always you can suggest track to us on this blog, our Facebook page, on Twitter using #PunkBritannia or on the collaborative Spotify playlist. Throughout June, 6 Music travels back three decades to a time where youthful rebellion and three guitar chords collided to create one of the most important cultural developments in 20th century history: Punk rock. To accompany our special series of shows presented by the likes of John Lydon and Captain Sensible, as well as BBC4’s excellent Punk Britannia series, we thought we’d hand over control of Now Playing ask you to compile two playlists - the first this Sunday celebrating all things UK Punk. But remember – this show is strictly for the Best of British, we’ll be celebrating the US Punk Scene (in particular New York city) the week after. Get in touch in all the usual ways – leave a comment on this blog, drag a track onto our Spotify Playlist, leave us a suggestion on Facebook or Tweet #PunkBritannia.